If you’re looking for somewhere special to escape the high street crowds this Christmas, consider a visit to a National Trust place. 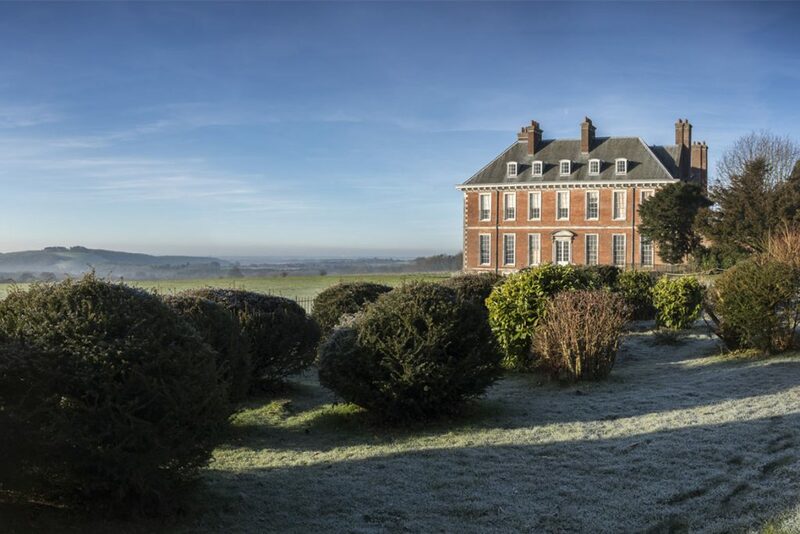 Our historic houses in and around Hampshire feature sparkling decorations and Christmas trees, fresh winter greenery and festive trails. Outside, you’ll discover beautiful garden landscapes filled with winter colour and scent. 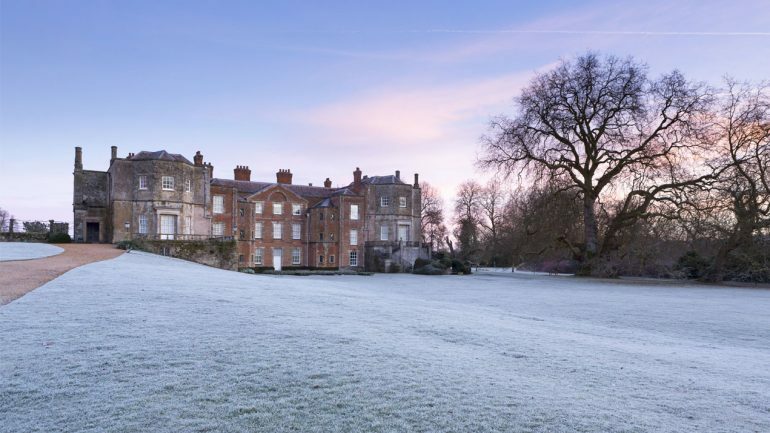 Classic Christmas stories are brought to life at Mottisfont and Uppark, and there’s a festive murder mystery at Hinton Ampner. At The Vyne and Mompesson House we’re celebrating Christmas from centuries gone by, and at Sandham Memorial Chapel’s cosy craft workshops you can make unique gifts and decorations. 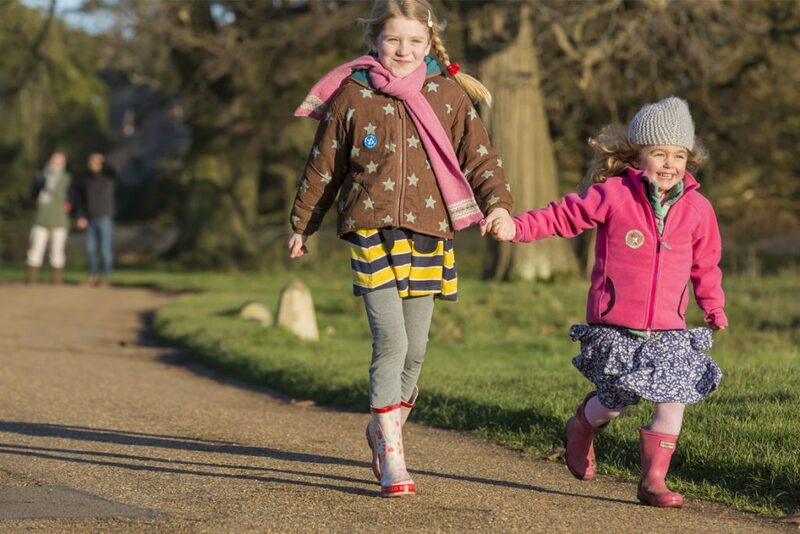 There are family activities at all our places, including our New Forest base camp and Winchester City Mill. Our shops feature traditional and contemporary Christmas ranges for all ages and pockets, including locally made food, drink and artisan gifts. Tea-rooms are serving a new winter menu, featuring delicious homemade treats using ingredients from our own kitchen gardens and local producers. Each festive day out you enjoy supports the National Trust’s work as a charity looking after special places for future generations to enjoy. 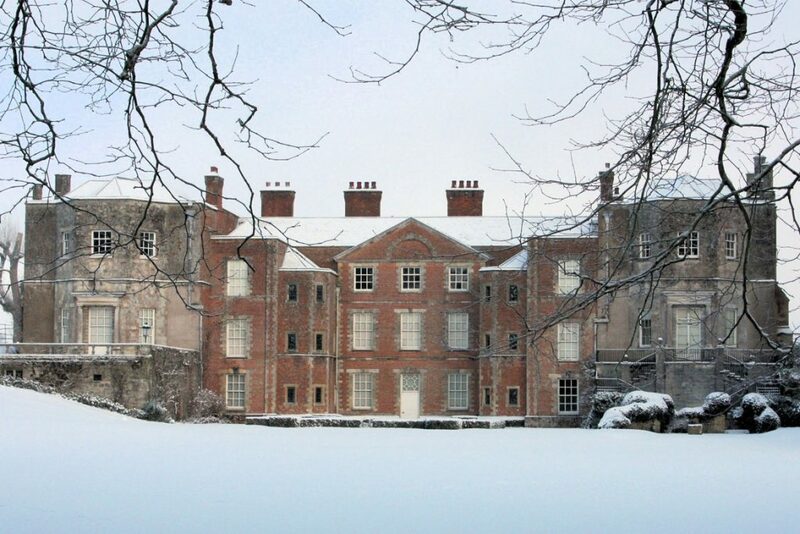 Hinton Ampner’s Christmas Murder Mystery and Christmas Pudding mystery family trail. House offer: 1 – 24 December, house open 11am – 3.30pm, booking essential online or call 0344 249 1895, normal admission charge. Owner Ralph Dutton’s glamorous Christmas house party is in full swing. But, foul play is afoot! Wander through rooms dressed in sparkling vintage decorations and stunning floral arrangements to find out ‘who done it’, with the help of Inspector Grey. Outside you’ll find a traditional sweet shop and festive activities for kids. You can also help Inspector Grey’s dog Albert find the Christmas pudding thief, on Hinton’s festive family mystery trail through the gardens. 24 November – 2 January, house open 11am – 4pm, outdoor trail 10am – 4pm, normal admission charge plus £1 per trail. Scenes from the much-loved poem, ‘The Night Before Christmas’, are brought to life at Mottisfont. Discover the children asleep in their beds, and a magnificent Christmas tree laden with decorations and presents. Unlike the poem, the mice are definitely stirring here –look out for them in nooks and crannies around the house. You’ll find that Dasher, Dancer, Prancer and Vixen have landed Father Christmas’s sleigh outside, and in the gardens an activity trail offers seasonal fun challenges, from Santa’s sack race to throwing presents down a chimney. There are simple activities for tiny tots too. House offer: 1 December – 1 January, house open 11am – 3pm, normal admission charge. 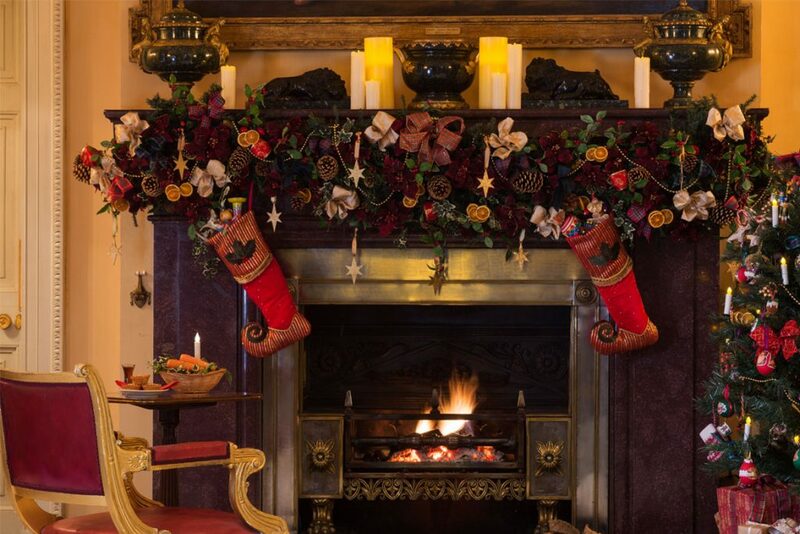 The Vyne’s Victorian owner Wiggett Chute invites you to join his family for Christmas. Fully re-opened after a two year roof project, you’ll find The Vyne’s historic rooms dressed in all the splendour of a Victorian family Christmas. Outside, a trail takes families on A Christmas Carol adventure. Inspired by Charles Dickens’s much loved festive tale, A Christmas Carol, we’re inviting you to take part in our Ebenezer Scrooge personality test. Follow the trail around the grounds to find out just how much of a meanie you are; do you spend Christmas counting your money, or eating figgy pudding? Tot up your score at the end to find out! House offer: 1 December – 1 January, 11am – 3.30pm, normal admission charge. 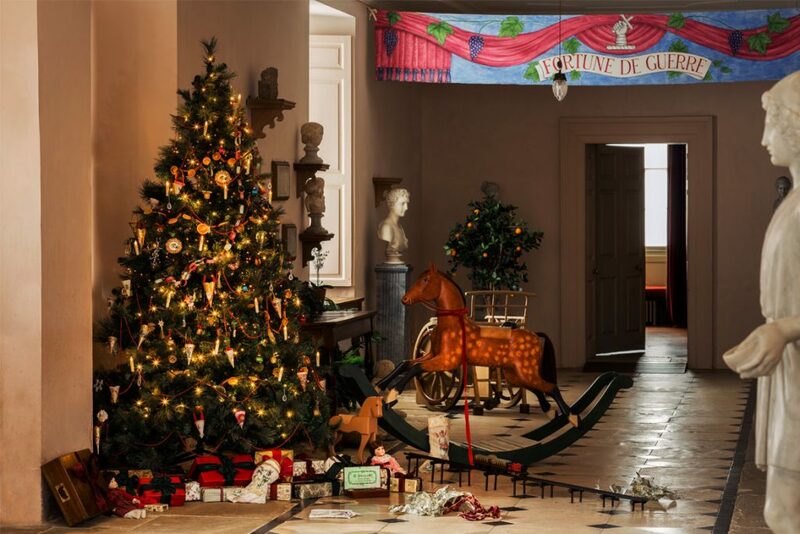 This winter, ‘The Twelve Days of Christmas’ come alive at Uppark. You’ll find beautifully dressed rooms inspired by this classic song, from ‘Nine ladies dancing’ to ‘Seven swans a-swimming’. Paper artist Delicarta returns with more amazing creations made entirely from paper, alongside gorgeous decorations handmade by Uppark’s talented staff and volunteers. Outside, families can get stuck in to an interactive trail based on the ’Twelve Days’ theme. Join Alder Valley Brass Band on Sunday 16 December for some festive carolling as you make your way through the property. A Christmas special Forest School in Foxbury’s basecamp. As well as cooking on campfires, making wild art and making dens, children will get the chance to make lots of Christmas gifts and decorations. 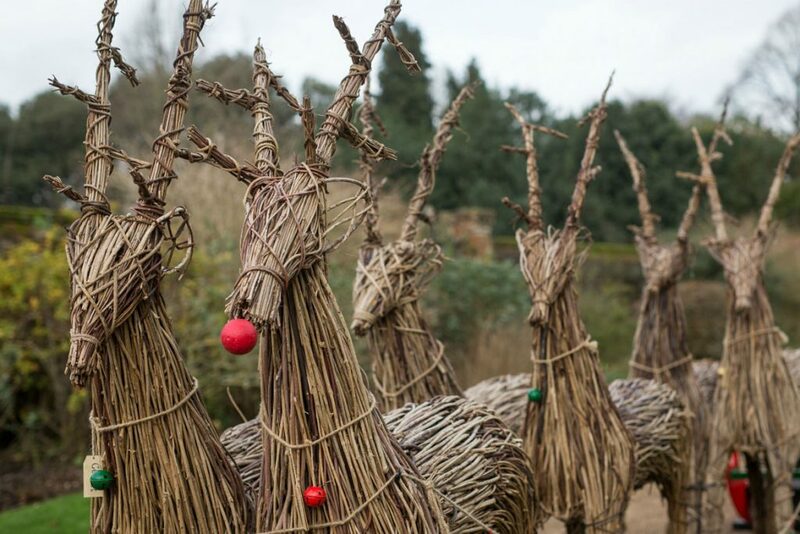 Such as wooden reindeer, bird feeders and tree decorations, using natural material from Foxbury itself, and children will get experience of tool use in a safe environment. Help us create a new woodland for the Forest’s wildlife. We have 20,000 trees to plant by 2020 so we need a bit of help! 15 – 24 December, 10am-3pm, normal admission charge. Every day this holiday, take a journey through the Mill following the trail of clues left by Father Christmas himself. Older children’s keen eyes will enjoy the challenge of rounding up his herd of reindeer to claim a prize. For younger children there’s a chance to hunt for elves who are sneaking around the Mill. Enjoy the merry sounds of this popular local brass band as they play favourite Christmas carols in the courtyard. You’re invited to join in too, plus there’s mulled wine and mince pies to keep out the chill. 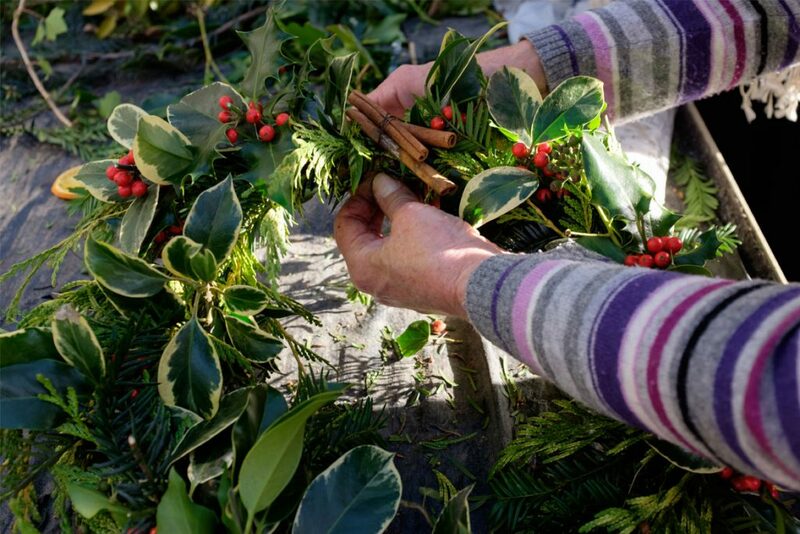 Create your own beautiful Christmas wreath using fresh greenery and traditional decorations. You’ll receive lots of handy tips on this session, including how to work with different types of foliage, and techniques for wiring fir cones, and cinnamon sticks for a lovely scented arrangement. Leave Sandham’s peaceful surroundings with a unique wreath for your home this Christmas. Learn the art of decopatch with local artist Helen Mortimer. You’ll use beautiful papers to transform items into unique Christmas decorations – great to give as gifts, or to display in your own home. Work with local artist Helen Mortimer and learn how to fold, cut and layer paper to create unique gift cards and a small 3-dimensional object such as a box. There’s a chance to develop skills in stamping, die cutting and embossing too. Sandham is a working chapel, having been dedicated on March 25th 1927 by the Bishop of Guildford. It’s incredible Stanley Spencer murals make it a very special place in which to worship, and it regularly hosts services to mark events such as Remembrance Day and Christmas. This year is no exception, and on 12 December you can join a special festive service which will include carols rung by the village’s handbell ringers. Thursday to Sunday from 25 November – 17 December, 11am – 3.30pm, normal admission charge. At ‘The Christmas House’ you can find out how Mompesson’s previous inhabitants celebrated the festive season, from a Regency Christmas in the dining room, right through to 1950s festivities in the library. 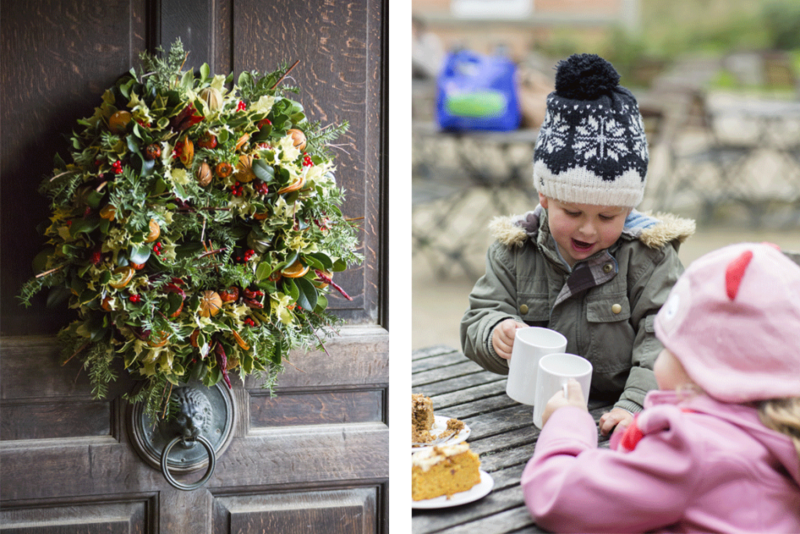 Beautiful floral and winter foliage decorations dress parts of the house, and you’ll find delicious mince pies and mulled wine in the garden tea-room. There’s an animal-themed festive trail for kids too, taking them around the house. Upstairs, peep through doorways to see how rooms have been ‘put to bed’ for the winter. On selected days there’s conservation-in-action too, as Mompesson’s house team clean the precious Turnbull glass collection. In the shop you’ll find a 50s-inspired festive theme and a wonderful assortment of gifts for all ages and to suit all pockets. For more Christmas inspiration visit: www.nationaltrust.org.uk/hampshire. 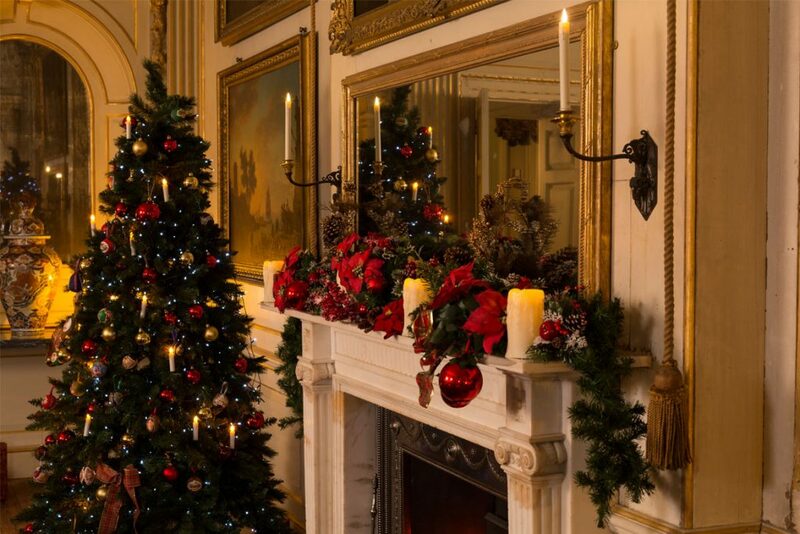 Share your National Trust Christmas traditions on Instagram using #southeastnt @southeastnt. Words by the National Trust.